There's something for everyone at the Bahamas. With a distinct mix of historic appeal, modern attractions and ecological wonders, your day visit to Bimini, North Bahamas is sure to be memorable. Step off the mainland and onto a high-speed 400-passenger, modern, comfortable 170-foot craft that will whisk you away from Miami to Bimini, Bahamas in just 2 hours. Sit back and relax with a snack or bask on our sundeck worry free! 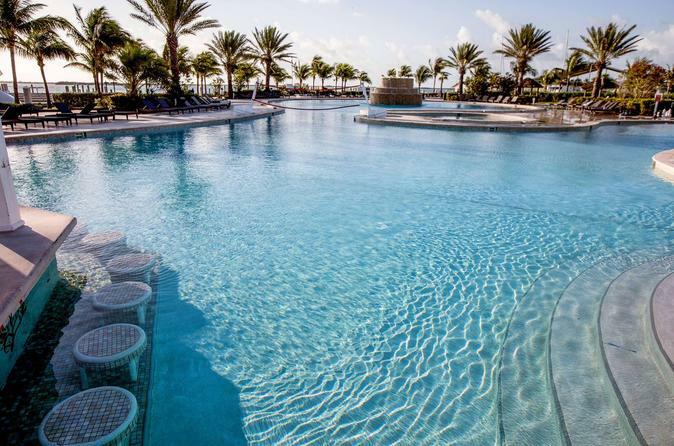 Once on the Island you will receive a Day Pass to The Hilton at Resort World Bimini for a full use of their outdoor facilities (Beach and pool). Upgrade your ticket to include a transfer, and a state-of-the-art coach will pick you up at your Miami hotel and transfer you to Port of Miami. The return to your hotel in Miami is also included.